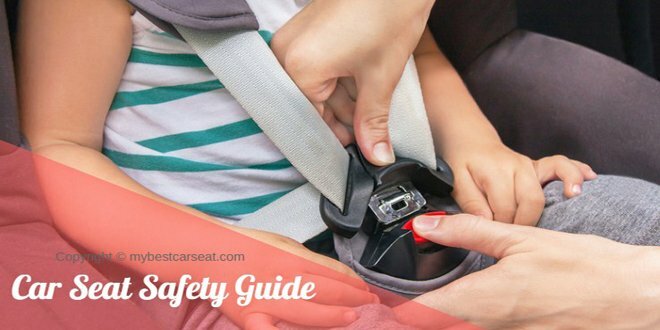 Child car seats are specially designed and made to protect our child passengers from any injury and also from death during any accident, now, you can either buy them or you can also be renting them when you are going to board a plane. 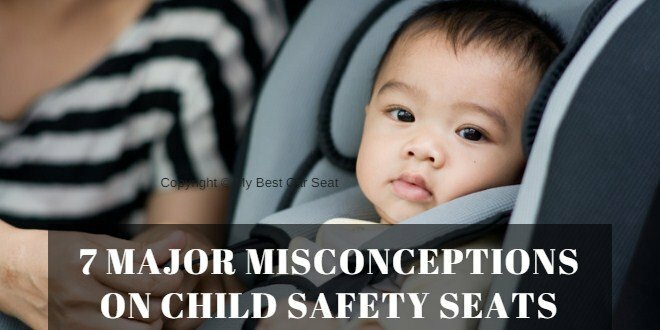 Car manufacturers make their cars’ seat especially to set with the design of the child safety seats. From consumers, we get the car seats and they also do the installation job of it. From the beginning, we have learned about the necessity of the child car seat for our children. But now come to the discussion about the rental car seat. Rental seat companies are much available in most of the cities. They have offices, official websites and also enough workers to rent their seat to their customers. They are very professional in that business. It is a well profitable business. And why it will not be… They have enough customers for their products. But do you ever think about the rental seat, what you are renting for your child? You should be. 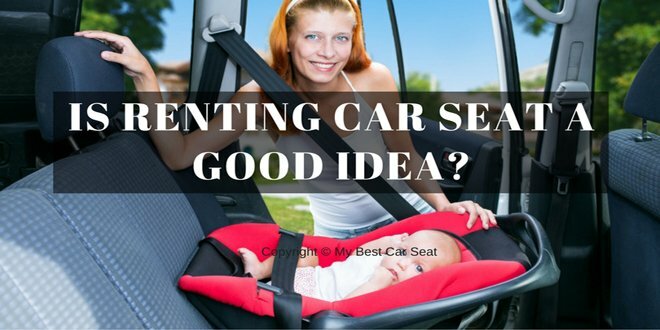 Now, before renting a car seat you may not think about things too much what you should probably do. Now, here we will provide you some scenarios what will aware you with the horrors of renting seats. Just think, you are so excited to go for a tour with your family this weekend. Already you have made all the arrangements. You have reserved a rental car and also a car seats for your baby. The rental car company generally offers their customers extra facilities to convince them. So they offered you to rent a seat with the car also. And you did it also. No! You are absolutely wrong…! You might be thinking that you have saved some money and time by doing it. In this way you have pushed the safety of your child to the edge. You don’t know what seat they have given, what is its present condition and by whom it was used before. This is a story of a parent who has faced the situation in the Los Angeles Airport. It is one of the busiest airports and it is always crowded. Maximum people, who come here to enjoy the beauty of the city, totally depend on the travel agencies. We are sharing here one of the customer’s experiences, who is the real witness of the benefits of the rented seat. I had traveled a long way to my destination. When I came out from the airport after coming down from the plane, I had found out the travel agency. The agency was crowded with their customers. There were families with their young children. Many of them were busy to visit the Los Angeles beaches or Disney Land. They were busy for renting their car. I had also moved there to rent a car and also a seat. I was curious about the seat quality and asked them to give me both a toddler and booster car seat. Though I did not take both of them, but I ordered both of them for my curiosity. But it was really upsetting and shocking for me, after getting these in my hand. The toddler seat was covered in crumbs and also it was so dirty. But the agency’s people gave me the guarantee and cleanliness of their seat before. So, I complained about it and they also agreed about their fault. After that, they gave me another seat. But it was worse than the previous one. When I opened the bag, I got a strong smell of vomit. Again, these seats had no “locking clip”. Without it, no one can install the seat correctly and it is totally unsafe for traveling. If any child travel in that travel car seat and by chance face any accident, I can assure that this baby will be seriously injured or may be dead. After reading the story, what do you learn? You just can’t trust them, can you? And more than that, it is only a story of an airport. But this type of agencies are available in every city. So you will surely get the same result as you get here. It is a business for the agency. They do not think so much about the safety or cleanliness. They just know the money. They always have to fulfill their customer’s orders. So they deal with them commercially. This story has been collected from another parent. This parent of ours reserved for their child, an infant seat for their tour. On the day of the departure, the rental company sent their official clerk with the seat. The rental company’s agent gave them the seat to install by themselves. The employee of the rental company did not install it by herself because she could not find any installation instruction on the seat. The parent told the employee that their official website mentioned that they would install the seat by professional hands. She just replied that she had done the course but will not do the installation. She did not want to take any responsibility if they faced any accident. So, the parents contacted the company and complained it. The company told them that they would change their information of the website shortly. But they have never changed their policy. This parent also mentioned that the seat was also pretty filthy that they never saw this type of dirty seat. The deeper portion of the seat and the car base were covered with rust. They did not find it as a child safety seat. So they wanted another seat. But the employee did not do anything. That person informed that they had no another seat for them. The behavior and the quality of the rental car seats both were worse. This is important too. They even provide expired seats sometimes. Many years ago, the child seat was not strictly recommended. But now it is a strict rule for the parents to have a car seat for their children. Beside that it is not only a rule; it is a necessary tool for the comfort and safety for your baby. Of course, it’s not a rare story. There are stories like these scattered all around us. Here’s another story for you. We came down from the plane after a long journey. We were totally exhausted after traveling for about 15 hours. It was a long journey for us and especially for the kid. After getting down we were waiting for our luggage to pick it up. After waiting a lot we found our two bags but didn’t find the one that carried the seat. After doing a lot of inquiry the authority finally admitted that they have lost the bag. After a long wait, we were hearing this news. But we claimed to them for the bag by any means. After some time they gave us a seat which they had loaned from any place. We had no idea, from where they brought it for us. The shocking fact for us was that they gave us a real filthy and dirty seat, which is not usable. It was covered with nasty pet-hair. They had no headache about the health and safety issue for our baby. They told us to use it until they find our car seat. You will never find any rental car seats company, what is not giving the guarantee about the safety of the child seat. They will not hesitate to say anything to run their profitable business. They have to run their business. So they have no headache to provide a fake policy. That is why we cannot believe their promises, what they are providing only for earning money. If you say, why will we disbelieve them? The American Academy of Pediatrics has published their advice about the rental seat. They say that parents should not use the used or rental seat because we can never know the actual history of the seat. You would also remain in the dark without knowing if the seat which you have rented had faced any accident before or not. So without knowing the actual fact, it is totally unsafe for the child’s traveling in the rented seat. So the best option is, choose and buy the right child seat for your baby. That will keep you away from tension and also keep your baby safe throughout the entire journey. And of course, your baby will stay happy as you will be. Renting a seat for your baby is not a money saving idea. You think, when you rent a seat, you just have to pay a few dollars. Do a little math for yourself, for how many times you have to rent the seat and multiply it with the days you are going to spend in the vacation. That will be the amount you are going to spend behind renting the car seats. Most rental companies give their single seat to their customers from $10 to $15. And it is the cost of a single day. So if you go for a four-day vacation, it will cost more than $60. Or if you have more than one child, then the amount will be huge. Now, with this amount of money you could surely buy a decent child safety seat. There are different varieties of them that come in a wide price range. You can also buy the cheaper child safety seats if you want. Now, the decision is yours. Whether you want to buy a new child safety seat or keep hiring them is entirely up to you. We would just say that, from every direction, buying a child car seat is better than hiring them. But our advice for you is: buy a new seat. Yes, you have to pay a good amount for a good seat, but overall it will be cheaper than the renting seats. Again, you will have no need to hurry in your vacation or think about the seat that the more you will stay, the more you will have to pay. So avoid the rented seat for your baby and also for your financial matter. If you are not financially so well, you should not think about the rental seat. Q-1: Is it safe to rent a child seat from a rental company? Answer: renting a child seat is not a great option. What is the condition of the seat, has it faced any accident before, how many months it has been used for? You will have no clear document about it. So, how you will confirm it as a safe seat? That’s why it’s never a good choice to rent a car seats. It is better if you buy a new one at least a cheaper one. Q-2: How much trustable is the rental company’s policy? Answer: the rental companies always offer the attractive policies for their customers. But parents often complain about the policy of the rental company. People do not get the actual facilities from them, what they actually say in their policy. That’s why trusting them is never a good idea and you should avoid them as much as you can. There have been a lot of records of inconvenience. Their seats are often filthy and broken. The experts that these child supply rental companies provide are often found untrained. The combination of all these inconveniences make their policies only a pamphlet of jokes. Q-3: What kind of seats do the rental companies provide? Answer: Rental companies will never keep the seats clean as you will keep your own seat clean for your child. It is their business. So they do not have so much time to keep it clean. They always have to fulfill the orders of their customers. So they have to provide the seat anyhow, whether it is clean or not. Now, These companies fail to provide clean car seats, how can you expect flawless seats from them? Often they provide their customers with faulty seats. The seats may be torn, it may have a broken lock, torn cover, or the harnesses may be torn or not properly working ones. That’s why staying away from these rental companies and their child safety seat is a good idea. So, at last we can say only one thing and that is hiring a child safety seat is not a good idea rather, you should buy a new one.